Charline is the first record by great Symphonic Prog band Wallenstein that isn't really progressive, it is pop-rock, but hold on, it should not really be condemned because of that, as it is one of the best pop-rock records to be released by any group in the whole seventies decade. 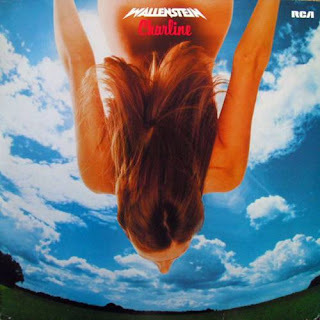 While many progressive groups were starting to record some pretty cringe-worthy pop by this point in the seventies (1978), there is nothing to cringe at with Charline. The title song made it to 17 in the German charts at the time, though really should have been a hit, worldwide, as it is both very pretty and catchy . The tasteful singing and playing all the way through Charine is quite a pleasing thing to hear.